Ciao tutti! Hello everyone! My name is Marilyn Ricci and I am 100% Italian-American. Who cares you say. Why does that matter? Let me explain. America is the Melting Pot. This melting pot brings so many wonderful qualities to the US citizenry that we have been leaders in new ideas since our inception. We have strengths and talents from the cultures of the world. However, as we blend our lives together, we do lose some of the flavors of each culture. My father and mother are all Italian. Their fathers were born in Italy and their mothers were first generation Italian- American. The only blending in our home was that of the Abruzzo and Campania regions of Italy. 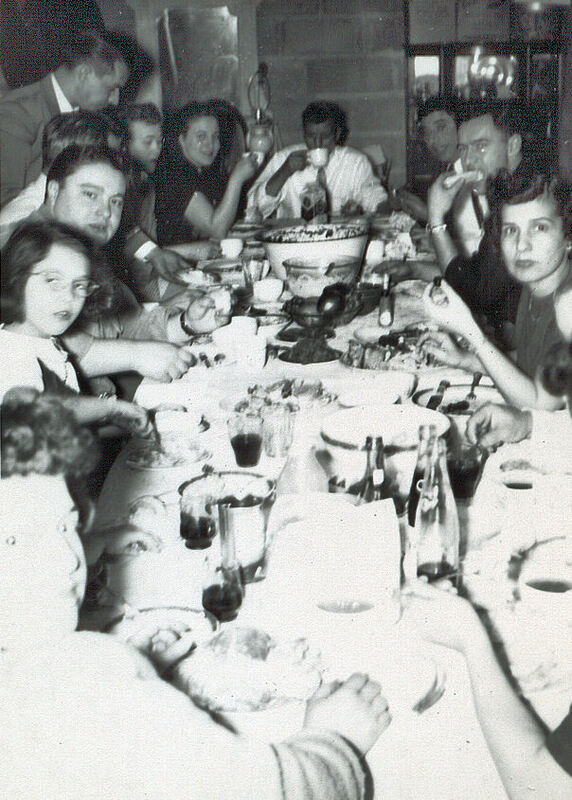 Our grandparents and great-grandparents spoke Italian in our home. We were lively, demonstrative, expressive. We argued a lot. We had big personalities. We were different. We lived in Minnesota, the land of 10,000 Scandinavians. Most of our neighbors descended from that culture or others from Northern Europe. They were a great deal calmer than we were. They were quiet. They seemed gentle. They did not argue. They didn’t yell. I still love that about them. But their children loved to come to our house where we ate spaghetti all the time. We laughed at the dinner table. We hugged. We were loud. And the food was so good. As a child I wanted to be like my neighbors. However, as I grew I discovered I loved the Italian in me. I loved the fact we hugged people, opened our doors to everyone and we lived around the kitchen table. I loved that some of us talk in both Italian and English in the same sentence and we still understand. I love that we would sing and dance at the drop of a hat. I loved that my father talked to strangers in an elevator and my mother’s laugh could be heard all over the block. I loved that we could sit at the table for hours eating, laughing, fighting, talking and more eating. I loved that when we were with family and friends, time lost all importance. We lived in the moment and experienced it all. These are only part of the reasons I love being Italian and unblended. This is part of why it does matter. Want to know more? Want to know how this benefits you? More to come in un momento….